I have been waiting for far too long to share this wedding, but I kept waiting for the “right time” and something finally told me that the best time was right now. It’s just such a fantastic wedding and I didn’t want it to get lost in the mix, but I’ve been so excited to share it with you all! 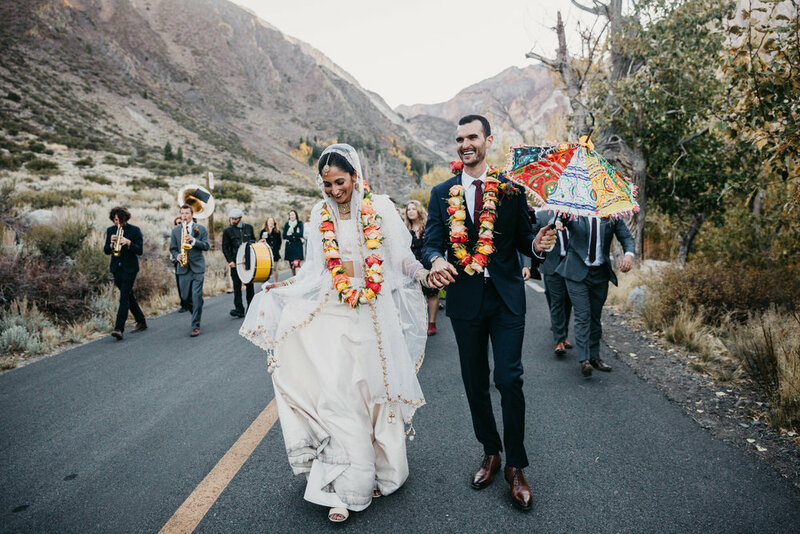 Nivi and Daniel planned the most beautiful celebration of their respective cultures last October, and they couldn’t have hosted it in a more gorgeous setting. Their self-proclaimed “HindJew” wedding was full of color, laughter, music, dancing, and tears. They held their ceremony on the banks of Convict Lake, in the shadow of towering mountains, with quakey aspen trees bathing the view with golden hues. Words of love were spoken by two of their siblings, who worked together as officiants, and Daniel sang a song for his lovely bride with his friends. 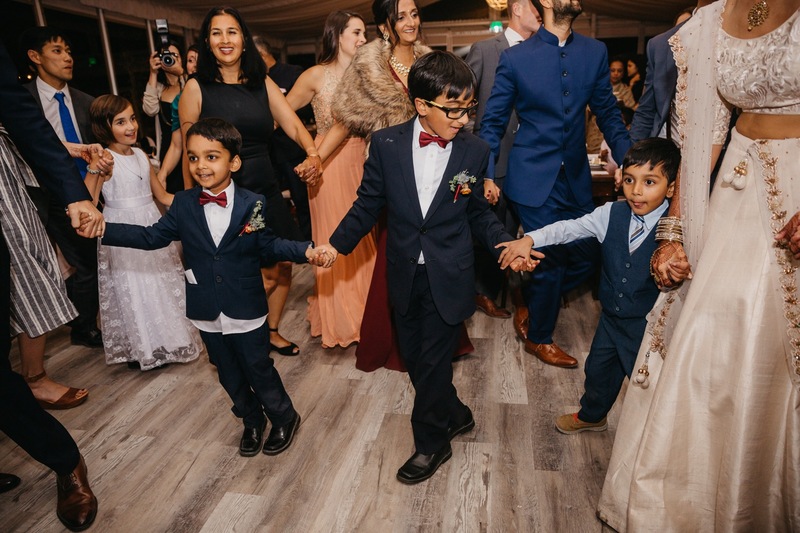 It was so touching, meaningful, and special, with Hindu and Jewish traditions peppered throughout the ceremony. I have probably never seen a bridal party marching with more exuberance than these guests as we made our way between the ceremony and the reception, and the party continued late into the evening. I have no doubt that this beautiful couple is going to carry this joy with them for the rest of their life together, and I can only hope that I captured all of it in a way that translates their incredible love story to you all. So grateful to my second shooter that day, Asia Wright of Savagely Media, for helping me capture all that beauty and traveling all that way with me. You’re amazing, Asia! Now, press play below, and enjoy this beautiful autumn wedding day for yourself.